Trove Tuesday: Stop! Don’t bury that man! Trove is the free digitised Australian newspaper site of the National Library of Australia. You can search a wide range of regional and metropolitan newspapers with ongoing digitisation occurring. There are many treasures within newspapers and you never know what you may find. Sometimes it is the start of a whole new trail of investigation. Harold Richard Rollason, my great-grandmother Violet’s brother, was born 27 September 1895 in Brisbane. He was the eighth child of Richard John Rollason and Lucy Evans. 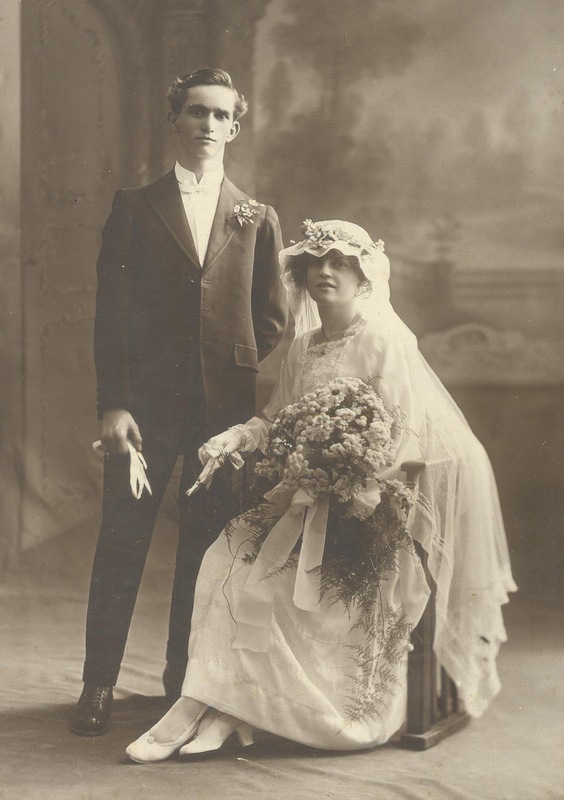 He married Irene Lambert 27 November 1918. Born, married, died and buried dates, found and all ticked off. Time to research someone else. Then when doing a trawling search in Trove for Rollason, I came across this little snippet dated 13 June 1922 in the Courier Mail. You can imagine the solemn scene of a burial about to occur. Then a telegram is received to say that the deceased’s family want the body to be sent to Brisbane rather than to be buried in Charleville. The procesion would need to turn around so the body could be embalmed (after all this is two days after the death and it has to go back to Brisbane by train) to be sent back to Brisbane. So this little snippet told me that Harold was a jeweller and had died in Charleville, both things I hadn’t known. With further research I found Harold had died of pneumonia. His will was at Queensland State Archives and his death certificate and inventory was in with his will. Remember it is always worth looking for a will as often you will find the death certificate in the file. This will now save you $37 in Queensland and sometimes marriage certificates and other documents. Currently the Charleville paper has not been digitised for this period and I have not had time to visit the State Library to look at it on microfilm but it is on my list of things to do. Trove puts life into our family history. I encourage bloggers to join in and take up the Trove Tuesday meme to highlight the wonderful things to be found in newspapers. What interesting snippets, scandals or celebrations have you found in newspapers?